This is the spawn of PokeBliss! Come join our custom Pixelmon Server! 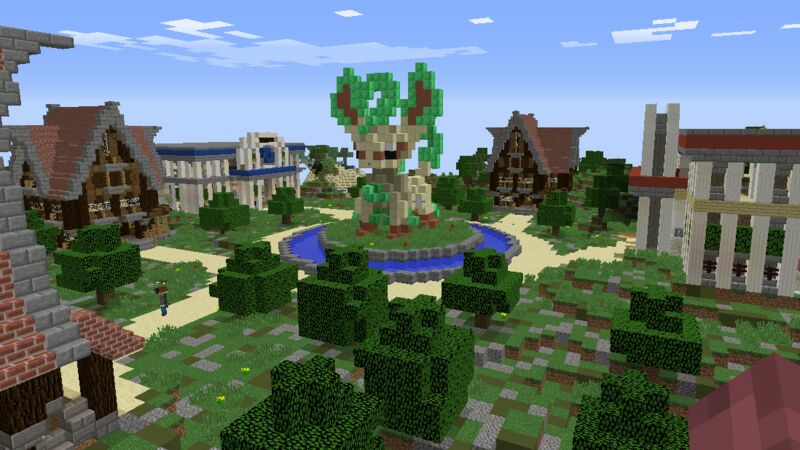 As our first 1.10.2 Pixelmon server, this server is in Beta as we port over all of the features, fully refined, from our 1.7.10 Pixelmon Servers as well as incorporate new features only available in 1.8 PLUS all of the content available from the updated variant of Pixelmon. Be one of the first to make an impression on this newly opened server to truly be the best this region has to offer! The Owner is the evilest guy in the world. He demoted me, because i wasnt good enough to be a gym leader. Also its false, there arent any gyms. Also he forced me to delete my pokemons. I joined this server yesterday, and I already love it! A very friendly and active owner, great community, and the spawn rate is nice and high. I really like this server. It's new and fresh and has lots of potential to grow!